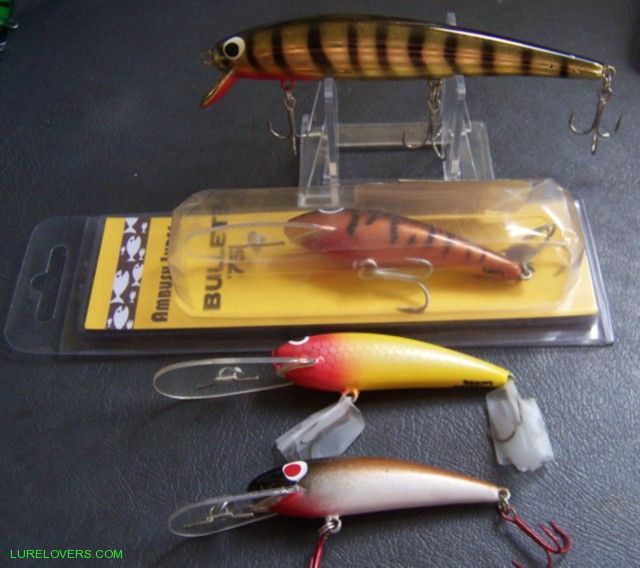 Quote Reply Topic: "Ambush Lures"
I am hoping someone could please help me know more about these lures i cannot find them anywhere on here.They where made of a plastic of some kind, not sure who made them but they all had "ambush lures" signed under the tail section. I do have one left but the other was stolen by a bass it used to catch some thumpers! Here's a few Steve, they were all moulded poly foam when in production. Originally made by Steve Muchow of Wellington Point, he moved to Beaudesert later on and stopped production in1995. Your Joking ! Ive lived in Beaudesert since 1989, My great uncle had Arthy's toys and gifts in the main street of town and he gave me these 2 for a birthday when i was only 8. Not long after they retired and closed the shop. Steve, I used to call on Keith only 5 or so years ago...your not that young are you??? Sorry about that, I talk to Keith as much as i can and fish with one of his sons nearly every week. I havent got a very good grasp of this timeline thing. Did you know Keith well ? I have to get a blank to him for my blackfish rod soon. Now where did that big chunk of my life go ??? I used to call on him every month or 2 for about 2 years when I was selling tackle in a previous life. OOHHH dark and mysterious i wonder if Keith can fill the blanks in haha. Sorry we are completey off topic now. My gosh.... This really is starting to get strange! Here i am carrying on about these wonderfull lures and you where watching all along...I am seriously kicking myself for loosing mine now! I shall pass on the message and yes it is Tony who i fish with, he has some very enviable lures from Keith. 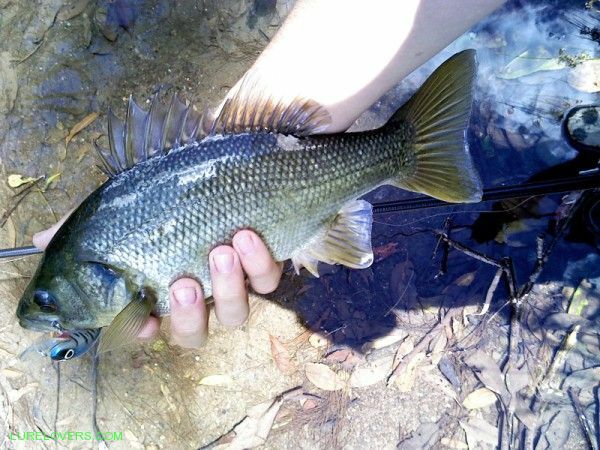 This is the only picture i have of it hanging out of a bass's gob. It was a grey with blue and black. Thankyou but please dont feel obliged in any way. Wow, how good is that...its a small world.. I bought this one because I liked the card so much. Nice looking lure as well. Something about them just lures me to them haha pun intended. Are you still producing those lures Steve? I was given two small ones by Alan Sloman on the weekend as I'd spotted them in his tacklebox.